I value my son's opinion and artistic eye so, when I make a card, I usually ask his opinion. 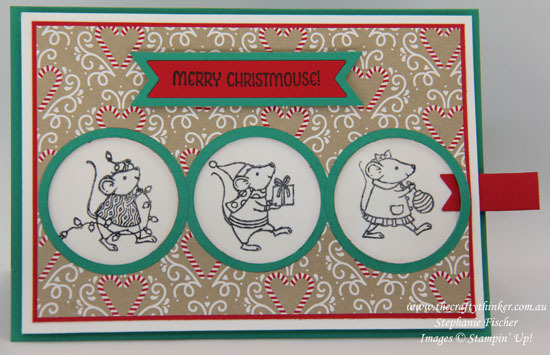 When I made this card for yesterday's blog hop, he told me that he liked it but why not make it into a slider so that the mice travel from window to window. What a great idea! So I stepped it up a bit and made this magic card! My son really likes it! But pull the tag and things start to look a bit different! 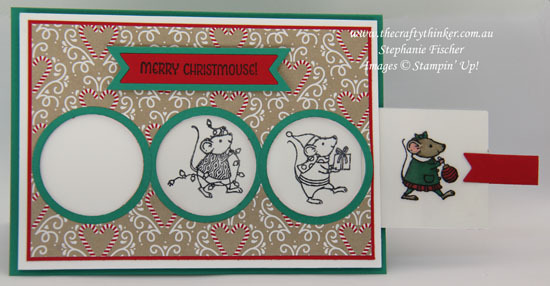 It seems the mice are leaving the card to go to their Christmas party!